We know how tragic it is to lose a family member to the system or when a family member steps into trouble with the law. We are to help you! 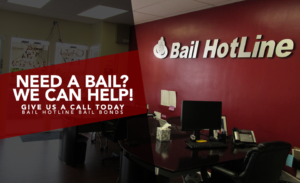 My Bail Hotline seeks information from your family to help keep you out of trouble so that you have a second chance with your situation. We ensure accountability with our customers with our process. We all make mistakes at some point in our lives, and hopefully learn from them. You won’t have to wait in jail until trail, we can help you so that you won’t have to wait in jail until then. We know that life happens and we are not all perfect as human beings, with that being said we will help you when you help us. Our percentage is also lower than most bail bond companies, My Bail Hotline Bail Bonds can help you pay your bail. My Bail Hotline Bail Bonds have helped millions around all of the major cities in California & Ohio. The cities and areas that we are stationed at in California are; Sacramento, Orange County, Los Angeles, Riverside, San Francisco, Santa Clara, Santa Barbara, San Diego, & San Bernardino. The cities and areas that we are stationed at in Idaho are; Boise, Ada County, Ventura County, Tulare County, & Solano County. Call us or visit us at any of the areas above and we can help you! This entry was posted in General News and tagged bail bonds, Families, Keeping Families Together. Bookmark the permalink.